When we think of Art with a Capital "A" we often fall back on white box galleries and big-name museums. 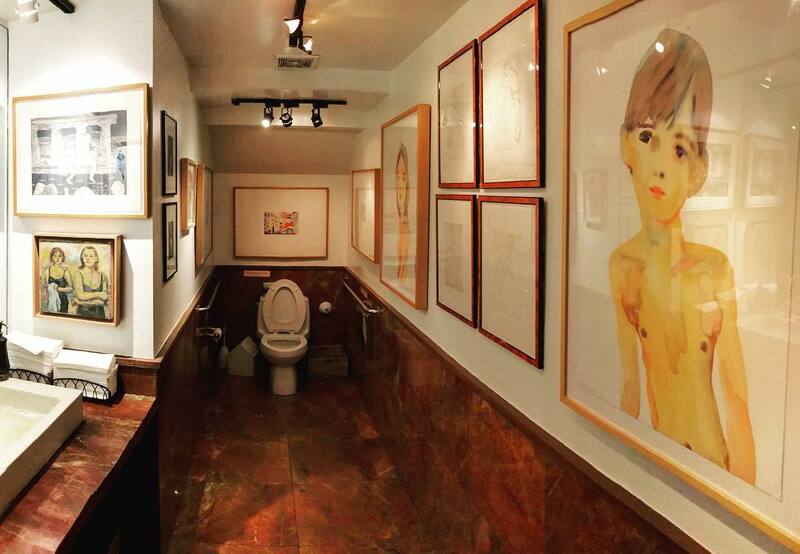 One meal at the classic Michael's Restaurant in Santa Monica (where works by David Hockney, Roy Lichtenstein and John Baldessari adorn the walls) will dismantle that notion of inaccessible, institutionalized art. In the 80s, priceless works by Richard Diebenkorn, Helen Frankenthaler and other Abstract Expressionist luminaries were literally given to the restaurant owners in exchange for meals. Now, four decades later, we can sip a Cabernet Franc beneath a Cy Twombly, or devour a nourishing plate of pappardelle with rabbit legs sitting alongside a sculpture by Loren Madsen. While unexpected, it is also very welcomed. 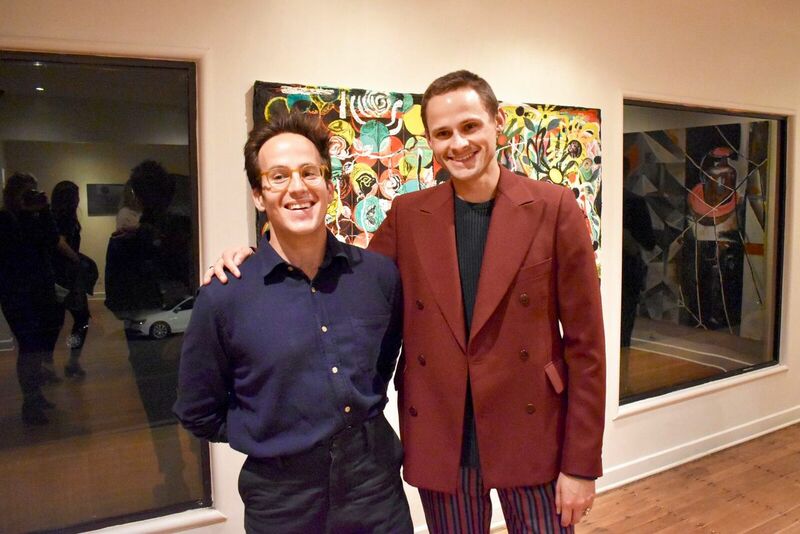 Chas McCarty, left, and Christopher Schwartz, right, at Michael's Santa Monica's second-floor gallery space. We asked Chas McCarty, Michael’s General Manager and the second generation of McCartys running the restaurant, and Christopher Schwartz, the NYC curator collaborating with the Chas on converting the restaurant’s second floor into a gallery space, about where to find great art in some of the city’s most unexpected places. Chas McCarty: Starting with the early years of the restaurant, Michael’s was a meeting ground for the local Santa Monica and Venice beach art scene. Most of the works on the walls were sold in exchange for food by the patrons themselves. 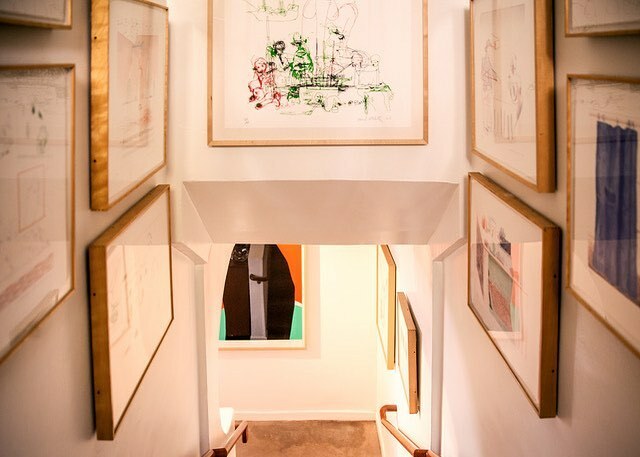 Michael and his wife (artist Kim McCarty) began collecting in partnership with LA Louvre and Gemini Printing Press in the late 1970’s, acquiring works by Cy Twombly, David Hockney, Richard Diebenkorn, John Cage and Helen Frankenthaler. A year after reopening the restaurant with Miles Thompson, I met NYC-established curator Christopher Schwartz and told him about the art shows my mother curated in our upstairs private party room and my will to bring them back. Christopher mentioned an interest in holding art shows in a non-traditional gallery space. Our debut group show features work by thirteen multigenerational artists. Christopher has a year's worth of programming drafted out for the future. CM: Despite being owned by my Aunt Susan Lieberman and her partner Parke Meek and playing to a large part of my childhood spent here, Jadis is one of the wildest and weirdest places in Los Angeles. Massive fake metal coils spin to the ceiling designed to look like something out of Frankenstein’s laboratory only to turn out to be actual props for Mel Brooks’ Young Frankenstein. Parke was a fourth-grade dropout and a frequent collaborator of the Eames Siblings in his early days. 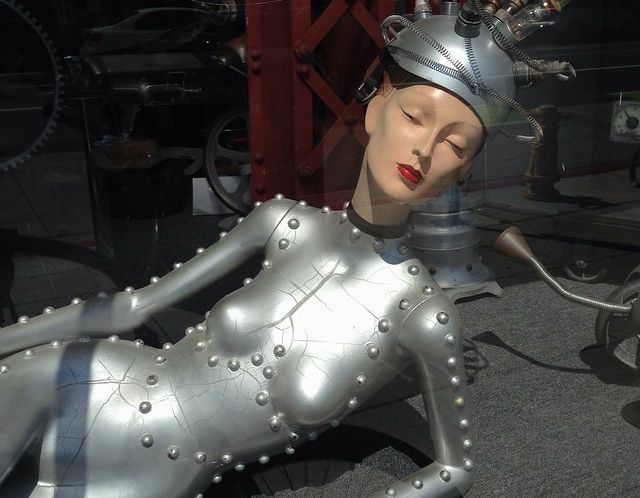 He was a local figure in the Santa Monica/Venice Beach street scene and definitely the first steampunk I ever knew. CM: HR was one of the first alternative spaces I was introduced to all the way back in 2011 and I’m happy to call its co-founders (siblings Eric & Kathleen Kim) my friends. I spent a lot of time at HR drinking beer from a bucket and nervously glancing at art when I was really eyeballing girls; or watching noise shows when I was really trying to figure out where to get toilet paper to stick into my ears to dull out the refracted and extremely aggressive acoustics. HR was my home for a long time and even if I didn’t fully possess the art school degree to digest what was on the walls, there was always a sense of generosity and humor from its curators that led me to feel like it was OK to not be an artist. It’s also been home to some of the best lectures and roundtables on any range of topics from disability to immigration reform I’ve ever seen. 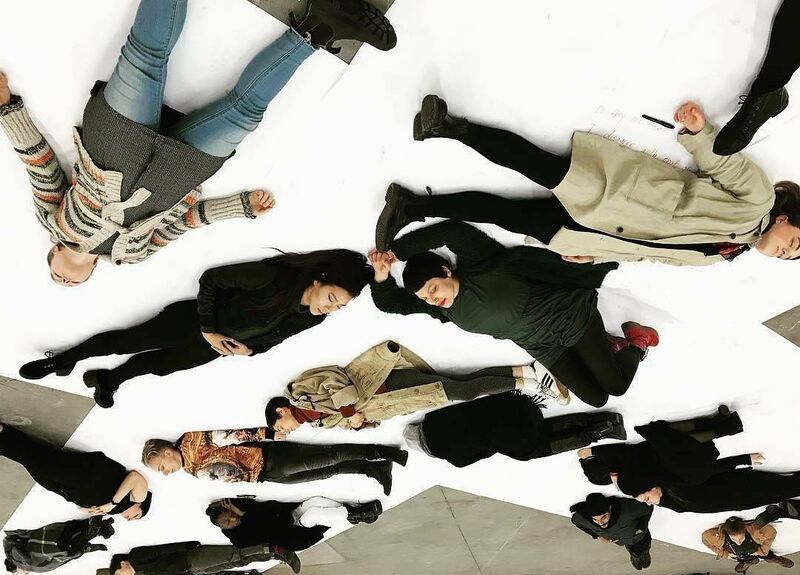 CM: Art Division is an arts nonprofit for 18+ individuals with really no guidelines or requirements other than the silent rule (which is really more by coincidence) that you have to be extremely likable and cool. The majority of the students find out about Art Division after outgrowing HOLA (Heart of Los Angeles), a neighboring nonprofit for teenagers, or by skating by on their way home from the park or the bus stop and asking what’s up with the overflowing library you can see from 6th Street. The students are incredibly smart and curious and talented and Art Division’s founder, Dan McLeary is a beloved mild-mannered smiley man and very talented artist with a knack for talking fast and keeping his students interested. 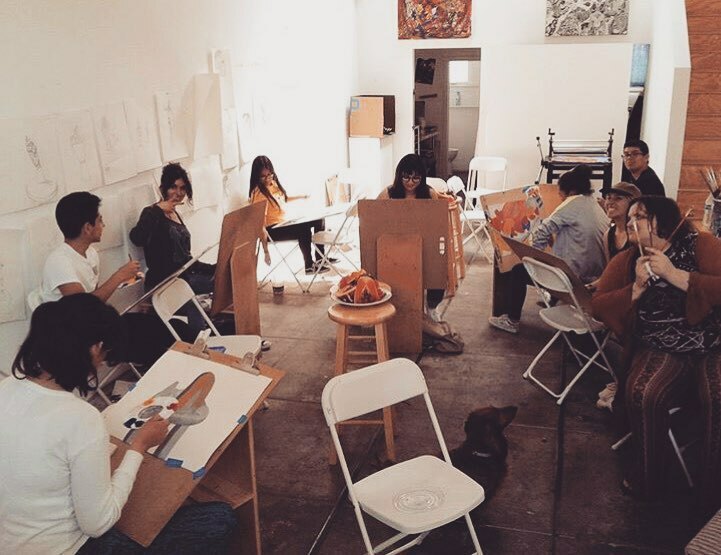 I’ll drop in every once in a while and sit in on an art show or a writing class and see what the students are working on, or if the timing is right I’ll see them down the street at HMS Bounty for a beer and hear from them there. Christopher Schwartz: A great collection of contemporary 20th-century art inside of the atmospheric classic California style hotel. One of the best places to enjoy a drink while watching the sunset. 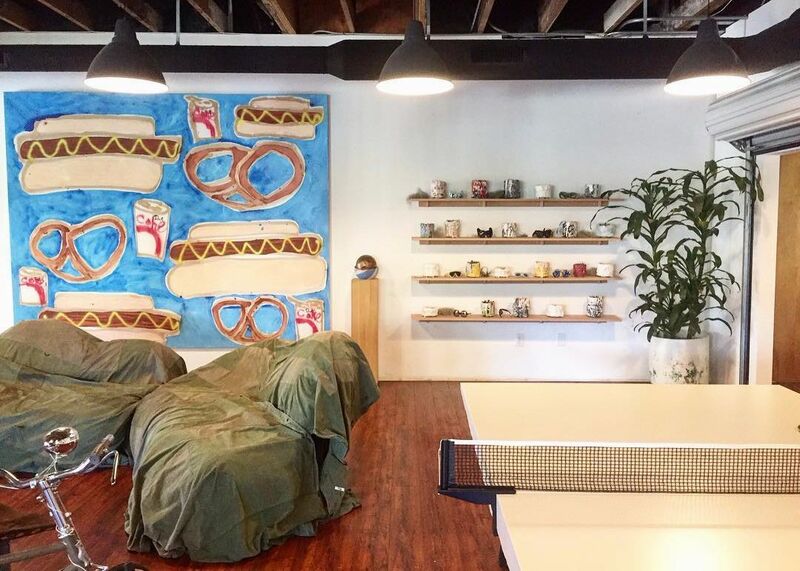 CS: Darren offers emerging artists a unique environment to create site-specific work in addition to attracting a diverse audience of musicians, tech industry people, etc. 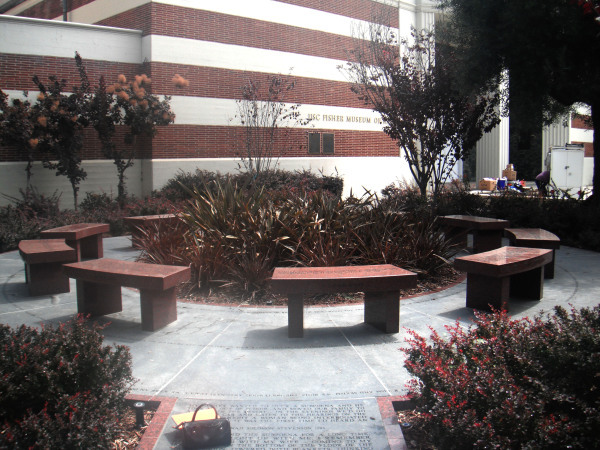 CS: An incredibly powerful work of 10 stone benches set in the garden at USC Fisher Museum of Art , each with engraved quotes from the famous Hollywood Ten who resisted the intimidation of artists during the McCarthy era administration. 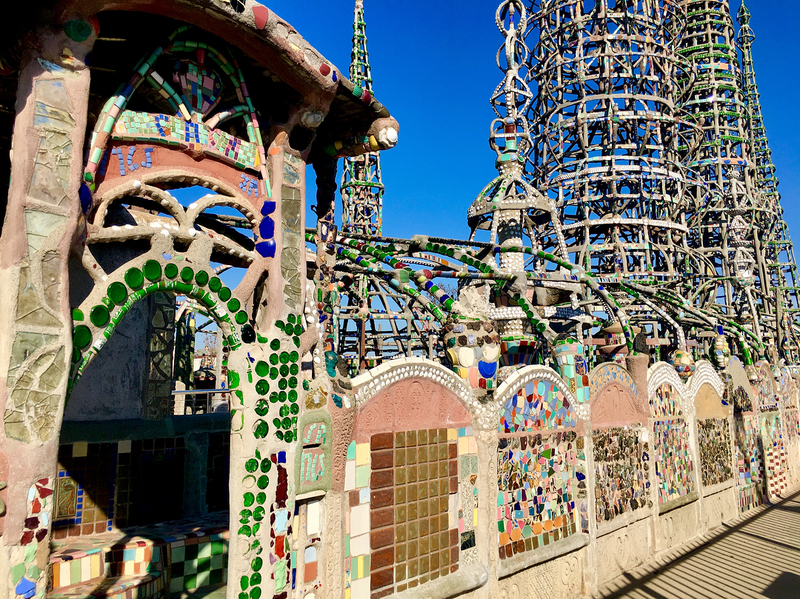 CS: One of the most iconic public artworks, an Italian immigrant Sabato Rodia built these 17 towers over 3 decades. A completely awe-inspiring experience.